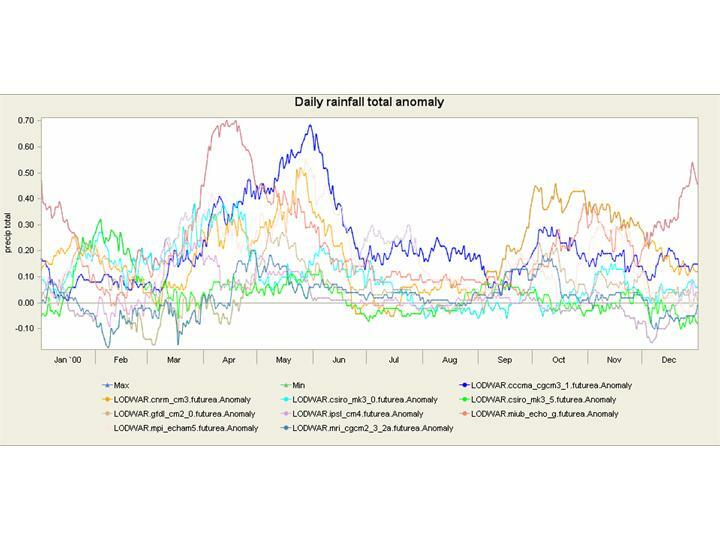 Analysis of downscaled GCM data from a number of models for Lodwar station shows that there is reasonable agreement of an expected increase in precipitation at Lodwar, particularly during the later rains, however the magnitude of change is unclear and may only be small. The intensity of rainfall is likely to increase, though overall this area will continue to be arid. Temperatures are likely to increase by +1.4 - 3.2degC above the 1960-1990 baseline by 2046-2065.